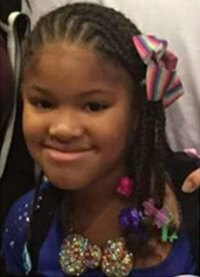 Basketball legend Shaquille O'Neal and a Houston police officer are covering the costs of the funeral for the girl who was shot and killed in a roadway shooting Sunday, Click2Houston.com reports. Meanwhile, Houston Texans player DeAndre Hopkins says he's donating this week's game check to the victim's family. 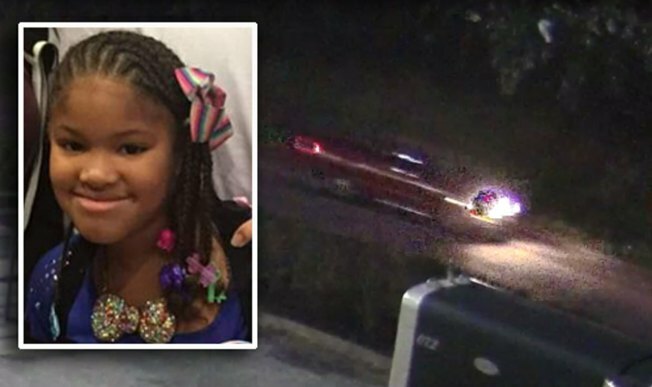 The child, Jazmine Barnes, was shot in the head at about 7 a.m. Sunday as her mom, LaPorsha Washington, drove for coffee. Washington told KTRK-TV that the gunman sped up after firing into her car, only to pull in front and slow down before firing again. "He intentionally killed my child for no reason," she said. "He didn't even know her. He didn't know who she was." Washington was in the car with her four children, one of whom was injured by glass. Investigators said the shooting was "totally unprovoked" and that they are looking for the driver of a red, four-door pickup in connection with the shooting. Lee Merritt, a national civil rights attorney with an office in Dallas, and New-York-based activist and writer Shaun King have collected a reward of $100,000 for a tip that leads to an arrest. Hopkins, a sixth-year wide receiver for the Texans, said on Twitter, "When I see Jazmine Barnes' face, I see my own daughter" and vowed to turn over his playoff check to the family to help with the funeral and anything else they may need. "On Saturday, I will be playing in your honor, Jazmine," Hopkins tweeted. Sheriff Ed Gonzalez has declined to speculate on what prompted the shooting and has has asked people who live nearby to review their surveillance videos. Gonzalez said he's aware of claims by activists that the shooting was racially motivated but added that it remains unclear what prompted the shooting and investigators are considering all possibilities. He said Wednesday that his agency is not "tone deaf" to concerns that race played a role in Barnes' death, but he said the focus is on collecting evidence and developing leads, while a determination on motive will come later.